Nucs are sold in a corrugated box for easy transportation, no box returns or frame exchange. 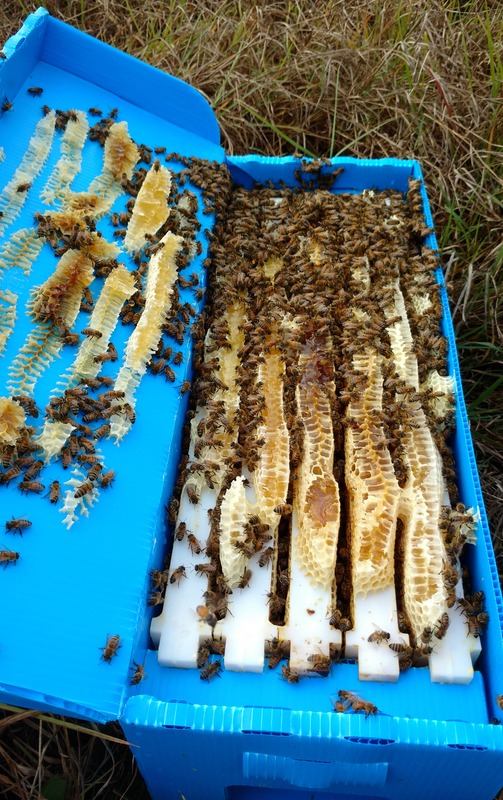 Our Queens are all grafted from stock that shows Varroa resistance or tolerance (ankle biting, VSH, etc). Our Nucs are sold with Medium Frames, also known as Illinois. They are sized to fit in 6 5/8″ Langstroth boxes. Arrangements must be made to pick up Nucs on pick up date. Pick up time: starts at 7am until noon. An order is not placed and secure until payment is received. Quantities are limited order now. To place an order, please contact us via email or phone. Huff’s Honey Farm accepts checks — we will email you an invoice and you can mail a check. Checks returned insufficient funds shall be charged a $50 returned check fee.